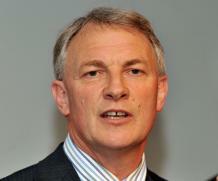 Auckland, Jan 26 NZPA - Labour Party leader Phil Goff is putting the finishing touches on his first major speech of the year to be delivered on Thursday after he and deputy Annette King were re-elected unopposed at the Labour caucus in Auckland today. Speaking to journalists after the vote in Auckland, Mr Goff said there was unanimous support for him and Ms King. "It was a very clear decision and people are very happy with it." Prime Minister John Key was dismissive: "It's hardly surprising that he survived, but I think it reflects that they have a really shallow talent pool to be fishing in." Before the meeting, Mr Goff said the lack of a challenge was a recognition that the leadership team already in place was the best one. "The year after an election is always hard for a party going into opposition. That starts to change this year, and I expect our people to be out there working hard on behalf of ordinary New Zealanders, doing their job as spokespeople and starting to develop their policy alternatives." Mr Goff said he had not finished writing Thursday's Hamilton speech yet but would focus on the average New Zealander. "We've had it pretty tough in 2009. To make sure the recovery in 2010 encompasses all New Zealanders, we have to make sure the tax cuts are for the benefit of all," he said. "We'll support the Government, if it meets the standards of looking after all New Zealanders. If it's about raising GST to give tax cuts to the most well paid, then clearly we will fight that tooth and nail all the way." Mr Goff did not rule out courting controversy as he did with last year's nationhood speech. Following that speech, where he criticised a sweetheart deal for Maori in exchange for the Maori Party's support for the Government's emissions trading legislation, Mr Goff was accused of playing the race card. "We've said that we'll work alongside any party, but that party has to be working in the interests of New Zealand. Where a shabby deal is worked, like last year with the emissions trading scheme, yes we'll take the fight to them. "Where they propose something that is consistent with our support for the interests of New Zealanders, we'll work with them. That applies to any party," he said. The caucus today talked about economic policy, tax, health and education and the importance of keeping energy up mid-election cycle. Mr Goff said promotion in the party was based on performance. "I think the younger members of Parliament understand they have to perform to the best of their ability, and if you perform well that will be recognised by your peers and by your leader," Mr Goff said.